This item is listed for historical interest only. 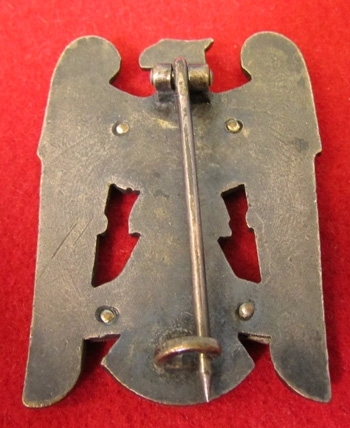 It was listed on our site previously but has been sold and is no longer available for purchase. Original era manufacture. 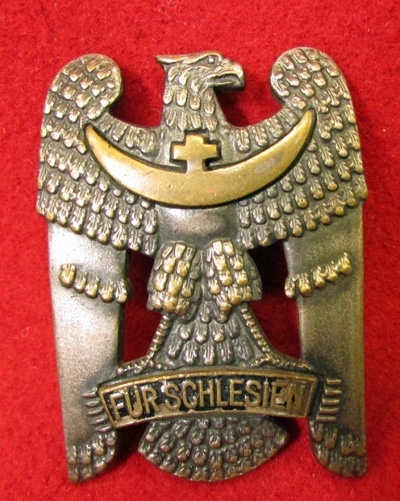 Die struck alloy badge with an applied German silver crescent and bandeau. Pinback reverse, light age and wear. Nice old patina finish.